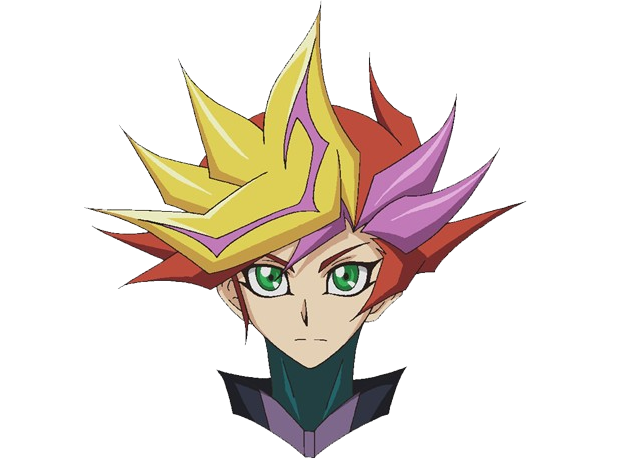 Yusaku Fujiki (藤（ふじ）木（き） 遊（ゆう）作（さく）, Fujiki Yūsaku) is the main protagonist of the Yu-Gi-Oh! VRAINS anime. Yūsaku Fujiki’s given name contains the characters “game” (Yu 遊), and “work” (Saku 作). His last name means “wisteria tree”. The kanji of his given name can also be translated as “playing” and “making”, which is most likely the pun of his VR name “The Playmaker”. 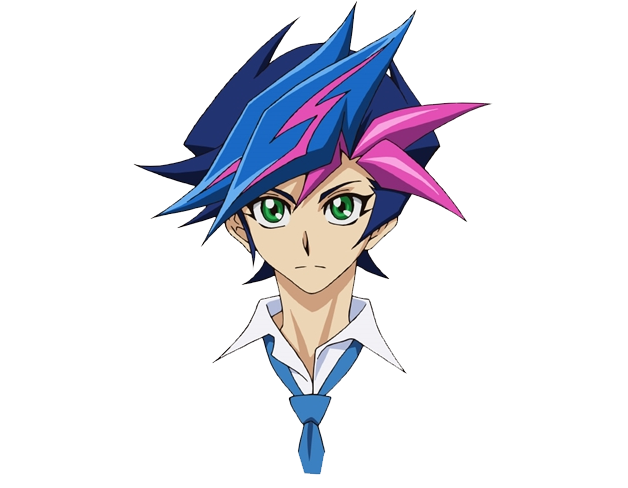 Yusaku is a teenage boy with fair skin, green eyes, and dark blue hair that spikes outward in the back and contains light blue bangs with pink accents. His standard attire consists of a slate-colored jacket with light blue trim over a white dress shirt with a blue tie and a pair of black pants and black and white shoes. 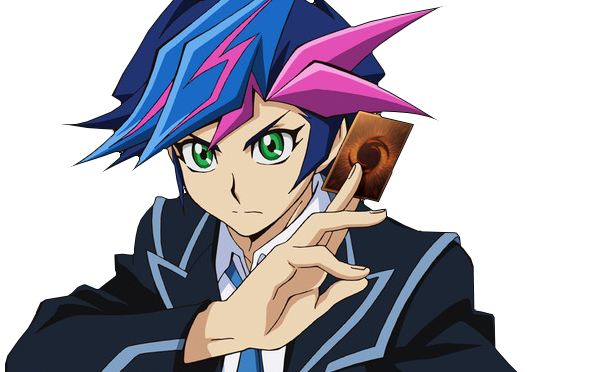 While Dueling in Virtual Reality, Yusaku wears a black outfit with a golden stripe going across his body. His hair color also changes to yellow and red with pink strips and accents. A series of translated Twitter posts state that “the plan is to have Yusaku change his form in VR (Virtual Reality)”. 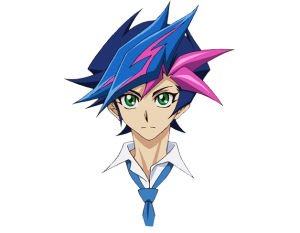 Yusaku is described as a boy who doesn’t like standing out at school. However, he gets drawn into encounters with people as he tries out Dueling for once. 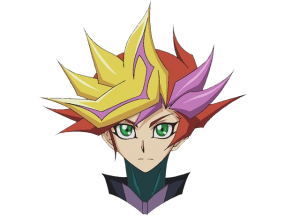 Yusaku is said to be a intelligent hacker who possesses considerable ability. It helps him to read a situation and Talker’s thoughts. Yusaku uses a Deck that incorporates Link Summoning, with his ace monster being “Decode Talker”.